You can set up and modify the keyboard shortcuts for GoVideo within the settings areas of your Chrome browser. 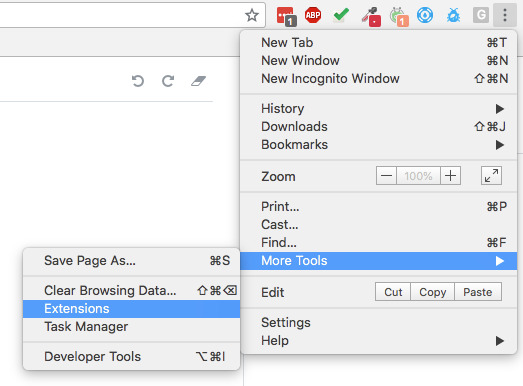 In Chrome, click the customization button in the top right corner and select More Tools -> Extensions. Click the Main Menu button. In the pop-up window, look for Vidyard GoVideo. Click the box next to the function you want to set the shortcut for and then press the Key or Key combination that you want to use. Note: By default, the shortcut is set to be useable in Chrome only. Setting it to Global allows you to use the shortcut even when Chrome is not in focus--for example, whenever you are recording and showing something from your desktop.